More information: Formed by Sean Timms following the dissolution of his previous band Unitopia, Southern Empire claim influences from the likes of Dream Theater, IQ, Transatlantic, Karnivool and Steven Wilson, bringing a harder, more edgy sound to their music whilst displaying a knack for catchy songs and great melodic hooks. 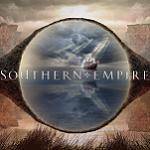 Their first album SOUTHERN EMPIRE also features a bonus DVD of footage of the album material. After a 17 year stint as main song-writer, producer and keyboard player with Unitopia Sean was looking to bring the finest musicians together in one band. He feels he's achieved that with Southern Empire. Danny Lopresto: A seasoned performer with a huge vocal range, mad guitar skills and many years of live and studio experience, Danny's work with nationally renowned band Clearway and the highly successful sold out Queen/Zeppelin Show sees him regularly playing to packed houses. Cam Blokland: Lauded nationally as one of Australia's premiere guitarists, Cam was the face of the 2014 Adelaide International Guitar Festival, sharing the stage with some of the world's finest guitarists including Guthrie Govan. Brody Green: One of a rare breed of drummers, Brody is not only great at hitting things with sticks, but also a stunning vocalist with a supersonic range, guitarist, keyboardist and song-writer. Jez Martin: A highly in-demand bass player, Jez can be seen and heard with the Bill Parton Trio, Lather (The Frank Zappa Tribute Band), The Dream Theater Tribute Show and many musical theatre performances.